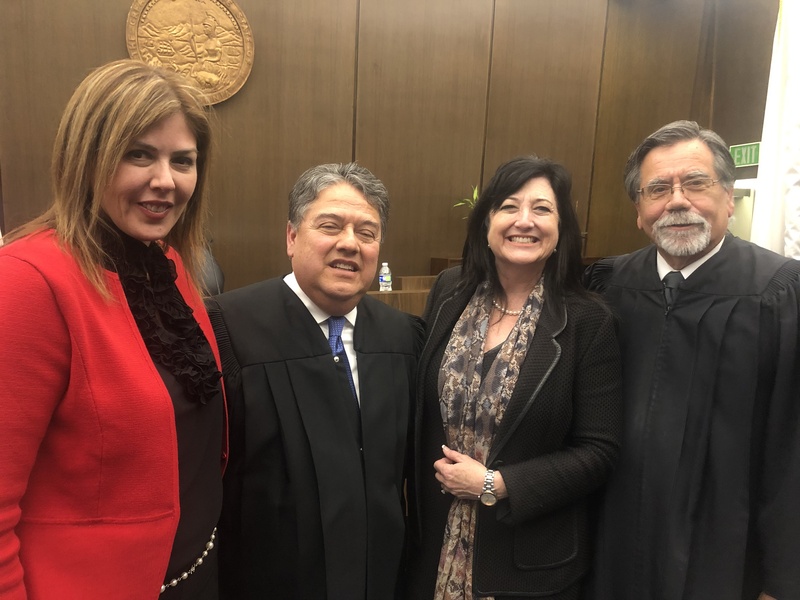 The Honorable Maurice Sanchez was enrobed on Friday, Feb. 8, at the Orange County Superior Court. Hon. Sanchez was appointed to a judgeship in the Orange County Superior Court by Gov. Edmund G. Brown Jr.
Sanchez has been a partner at Nelson, Mullins, Riley and Scarborough since 2017. He was a partner at Baker and Hostetler from 2005 to 2017, a shareholder at Alvarado, Smith and Sanchez from 1993 to 2005 and managing counsel at Mazda Motor of America Inc. from 1991 to 1993. Sanchez was senior counsel at Hyundai Motor America from 1986 to 1991 and an associate at Rutan and Tucker from 1981 to 1986. He earned a Juris Doctor degree from the University of California, Berkeley School of Law and a Bachelor of Arts degree from the University of California, Irvine. He fills the vacancy created by the conversion of a court commissioner position on August 28, 2018.